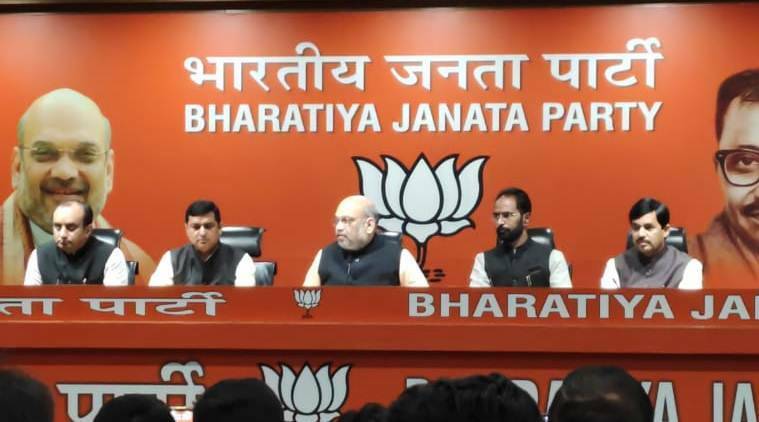 A day after Congress politician Sam Pitroda’s statement demanding more ‘facts and proof’ on Balakot airstrike created an uproar, BJP national president Amit Shah, in a press conference in New Delhi Saturday, demanded an apology from Congress president Rahul Gandhi. Shah questioned Congress’ stand on Pulwama attack and asks if the grand old party believes that Pakistan has something to do with these terror incidents that keep happening on Indan soil. “Who is responsible for these attacks?” asked Shah. Prime Minister Narendra Modi had Friday cited Pitroda’s comments to launch an all out attack against the Congress on the issues of terrorism and national security.